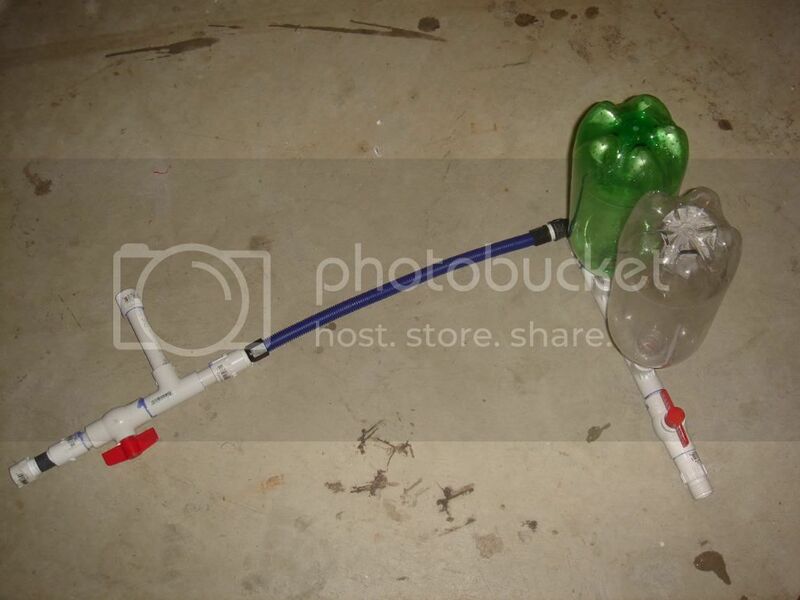 So, I just decided to make a homemade when my friend decided to have a "water gun fight" at his birthday. I was like "I'm going to make one and PWN YOU ALL." 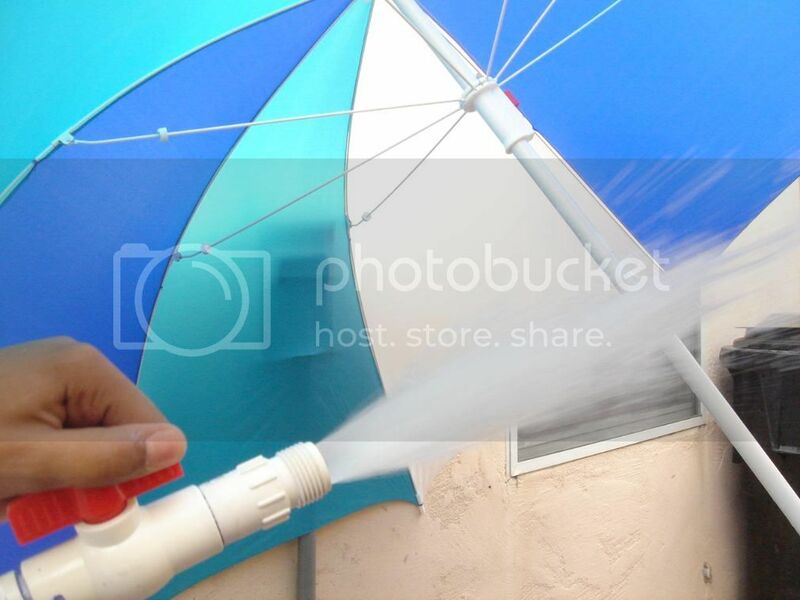 After looking for a long time and deciding which way to go, I chose a combination of RolandTower's backpack design and the xinventions water cannon (from the "Homemades" page). 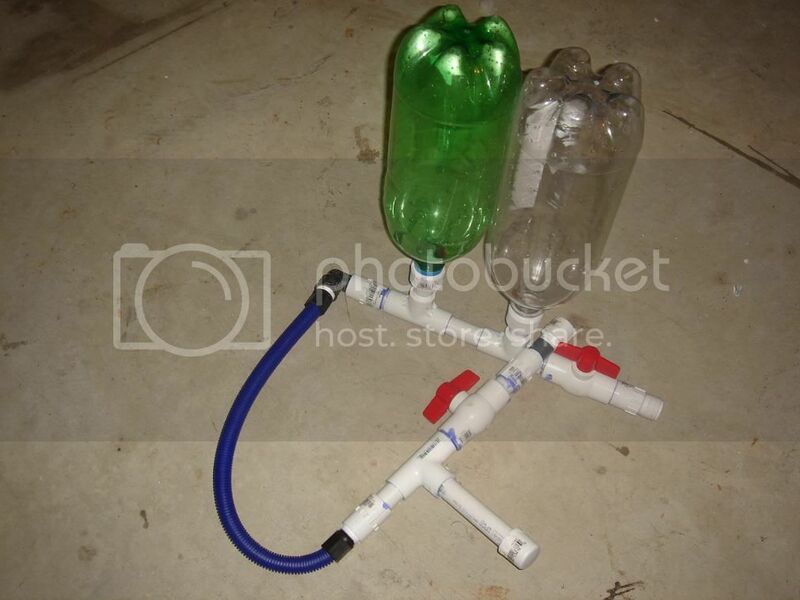 Basically, it's just two 2-liter soda bottles acting as PCs and then a gun-firing nozzle part attached by flexible hose. Since I've messed around with it, it seems pretty cool. 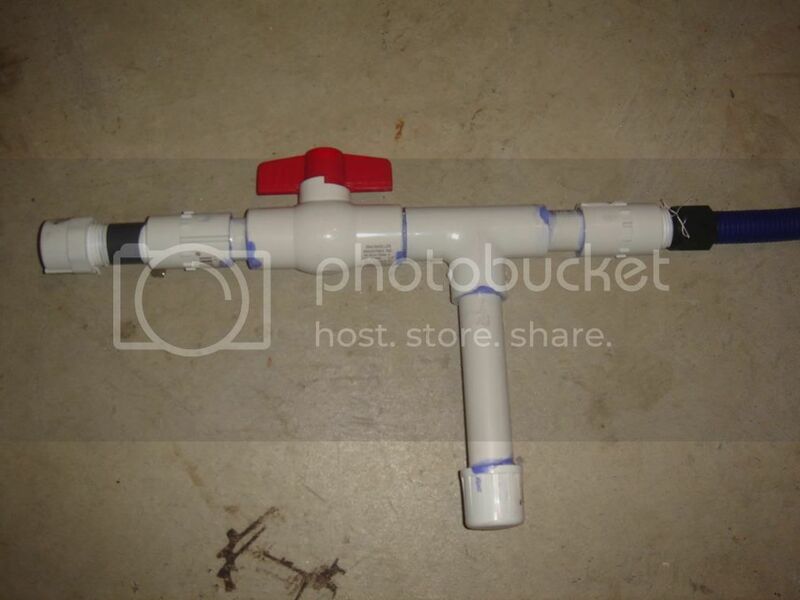 It's made of 1/2" PVC pipe, uses PVC ball valves for filling and firing. Right now, I plan on adding an external, detachable pump, to make it a "backpack APH" (you get the idea, right?). 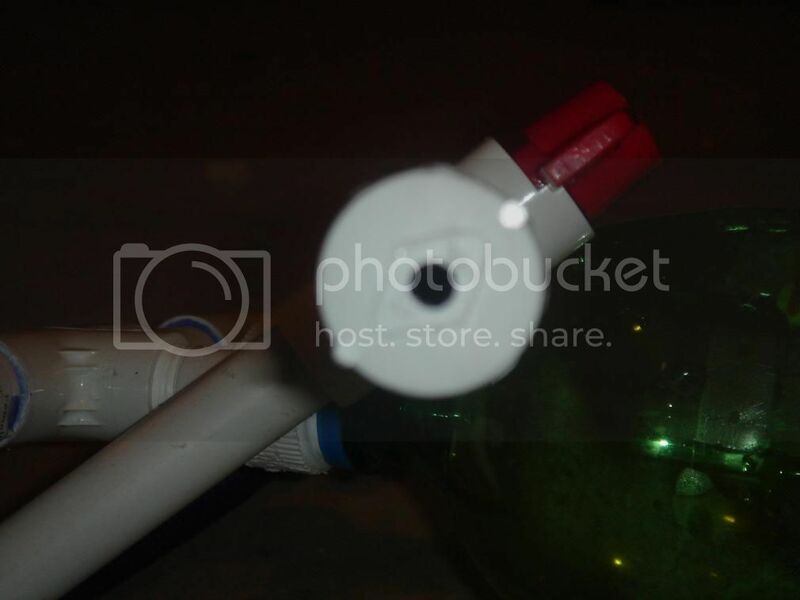 I have a bike pump hooked up to a hose connection, it connects to the hose connection on the ball-valve near the bottles to pressurize it. I usually only go up to 40 psi , mainly because of an incident* I had one time. The pressure drops off way-too fast, but it's fine for me. Feel free to ask for anything else; I'll try to get if if you want. - * "The incident"- On my second day after building it, I was playing with my w. gun. I filled it up to about 2 liters, and then I pressurized it to 60 psi. I set it down to work with something, and thats when it happened. The tanks fell over, and the one of the couplings I was using to connect the bottles to the main manifold broke apart. 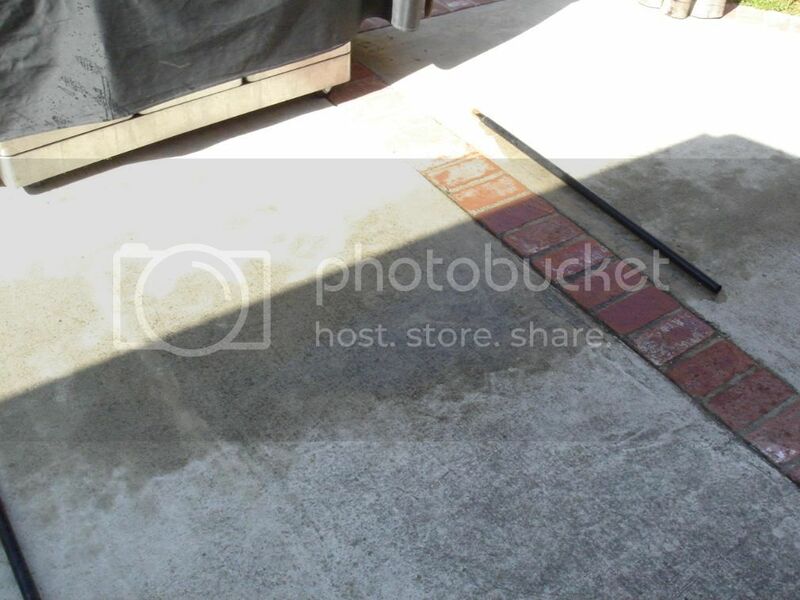 The 60psi of pressure, the stress from over tightening of the coupling, and the force of the impact sent the bottle flying over the fence nearby. Soaked and in awe, I walked over and picked up the bottle. If you look below the bottles, you ca see the coupling that broke. I ended up with the male-end in the manifold and the female end screwed on the mouth of the bottle.Luckily, All I had to do was push them back together with a vice. - IT TAKES TOO LONG TO FILL!!!! Overall, it works pretty well. Until next weekend, I'll leave it as it is. Feel free to ask anything about it, I'm open to questions and (good or bad) comments. Last edited by aEx155 on Sun May 11, 2008 4:18 pm, edited 1 time in total. Welcome to Super Soaker Central! This is looking pretty nice for something made from two liter bottles. Hopefully those who just want to mess around will find this as an option. I'm a little pressed for time so I'll only ask the first thing that came to mind. I'm sure others have more questions and comments. 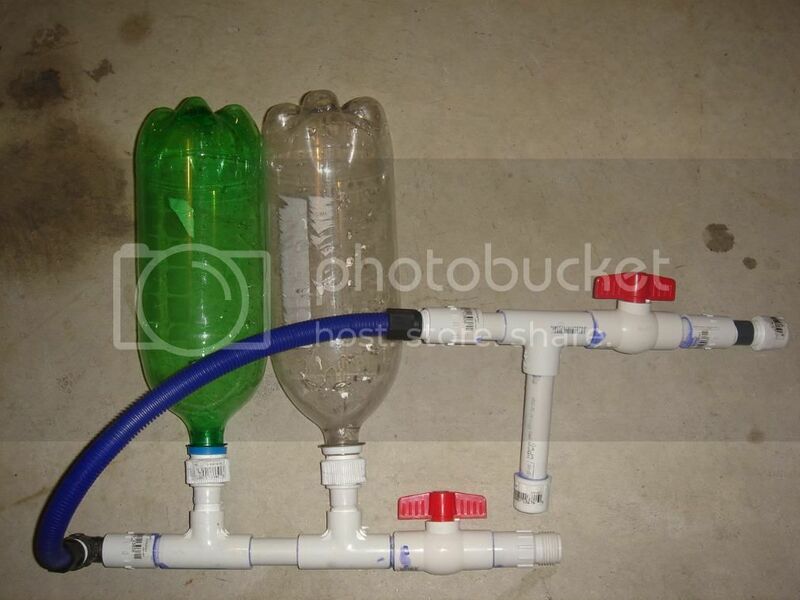 What are you using to attach the two liter bottles to the PVC? Is that some special piece designed for that? I've never seen anything like that before. Actually, my primary question is the same. 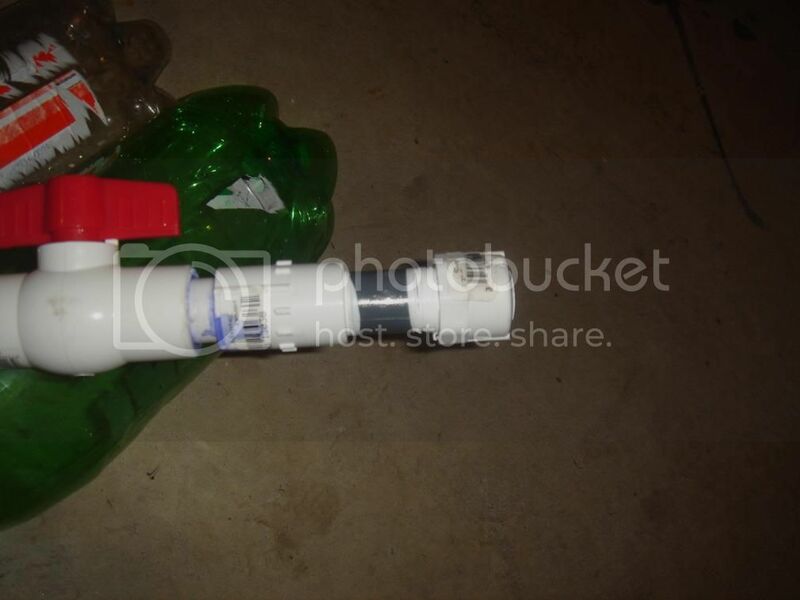 How did you attach the bottles to the pipe, aEx155? I know it's possible with the right threads and Teflon tape, but those fittings almost look like they were meant for the job. I'd guess they're some type of repair fitting or spinning coupler, though. 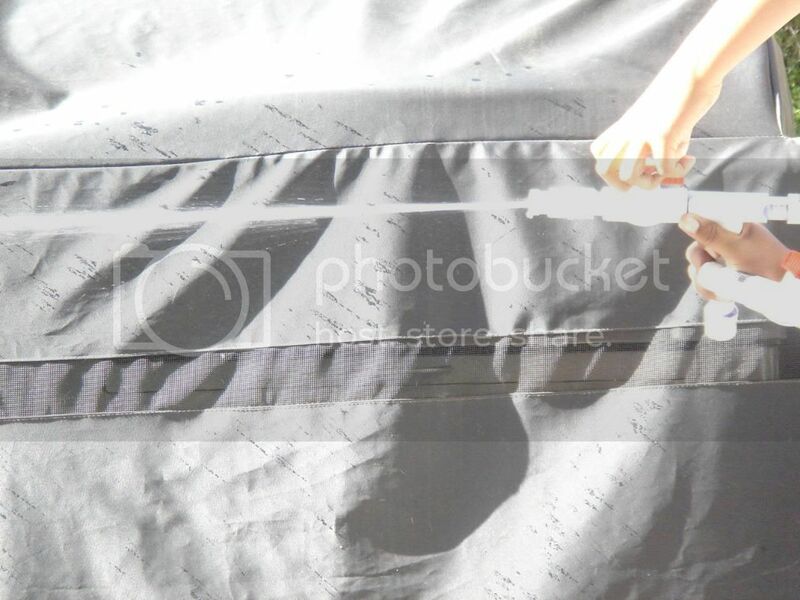 Regardless, good job on the water gun, and thanks for coming up with an easy way to attach cheap pressure chambers. Perhaps there's the possibility that they'll shoot off, but they're cheap, strong, and translucent. Thanks for the complements you guys. It's nice to see something that I've made spark some interest in some of the pros. 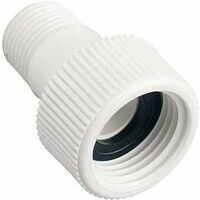 Imagine this, but instead of the female end being 3/4", make it 1/2"
The connector I used was just a regular "Female hose connector to 1/2" male threaded" (not the exact name, but you get what I mean). When I play with my water rockets, I use a similar technique to attach the bottles to a female quick-disconnect. All I did was put two hose washers and some turns of Teflon tape to keep any leaks down. The bottle is screwed down tight to form a good seal on the washers, and the Teflon tape just reinforces it. After "the incident", I decided to put some hot-glue around the junction between the two pieces that make up the connector to keep a seal and hold them together. I know the threads aren't the same, but the way I did it, it doesn't seem to leak at all. I also updated my first post with stats. Last edited by aEx155 on Tue Apr 29, 2008 11:29 pm, edited 1 time in total. 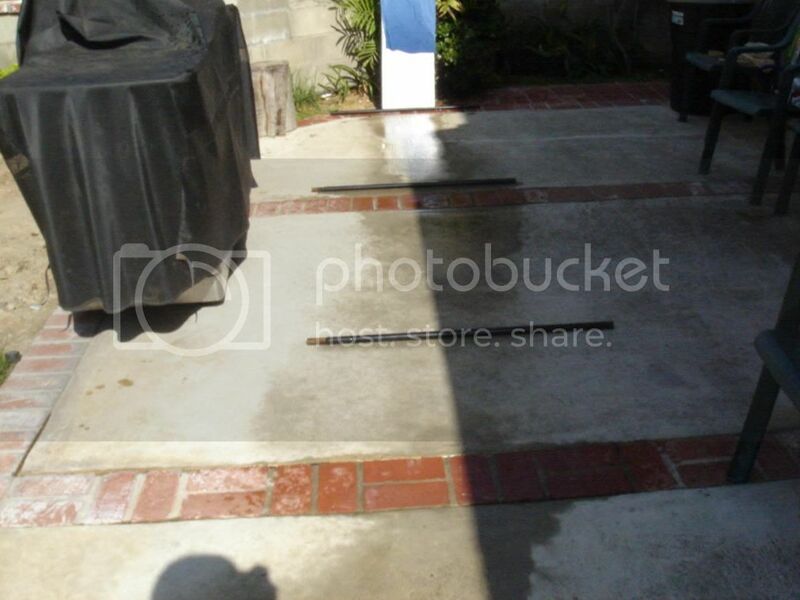 All of shots are 35' away from the big metal sheet thing with the blue towel on it; the pressure varies from 20-40 PSI, and the black bars are spaced 5' feet apart. Last edited by aEx155 on Sun May 11, 2008 4:22 pm, edited 1 time in total. Well, it's a pleasant surprise that the threads fit so well between the bottle and the fitting. Good find. Do you have individual ranges for each nozzle? 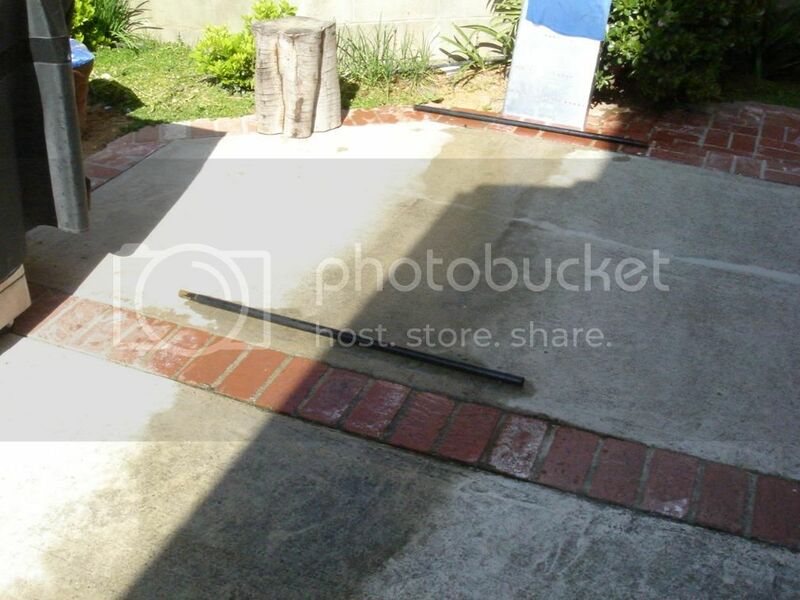 A homemade water gun should get at least 40 feet (although mine fell short... ), and while the lower pressure and 1/2" tubing in yours might have something to do with that, I'd reconsider the nozzles first. That said, you did use a decent variety of nozzles and the streams look clean. 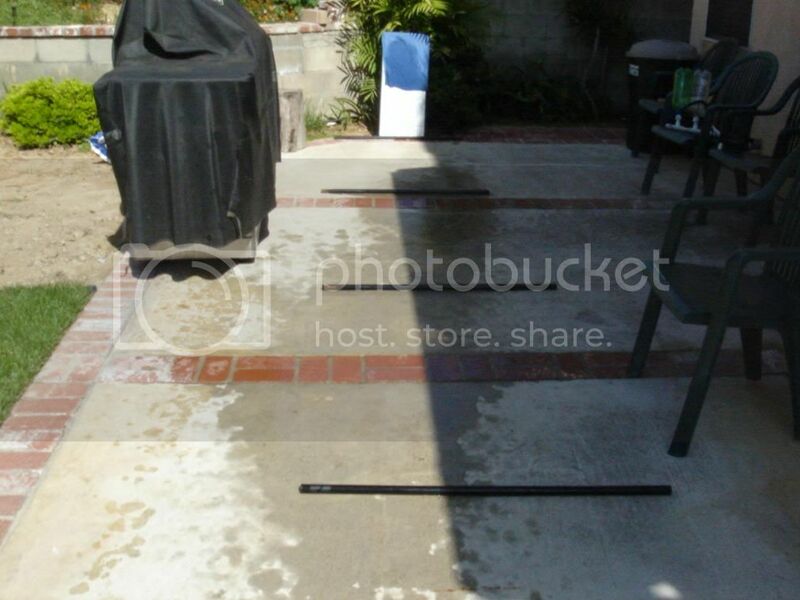 That said, did you angle the water gun when measuring the range? 35 feet would be quite respectable for a flat range and at least better than my APH's for angled. Good luck and I hope you get to improve it some more! 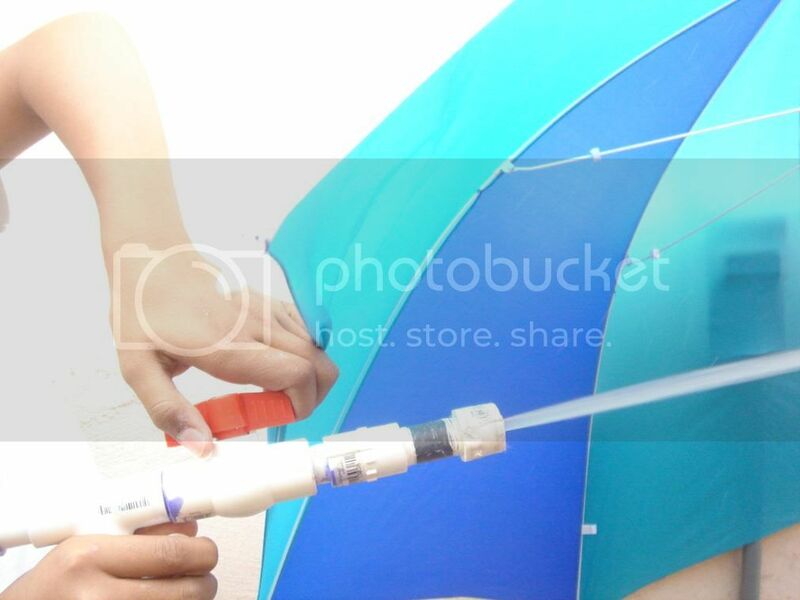 EDIT: We may add a gallery of homemade water gun images later this year. 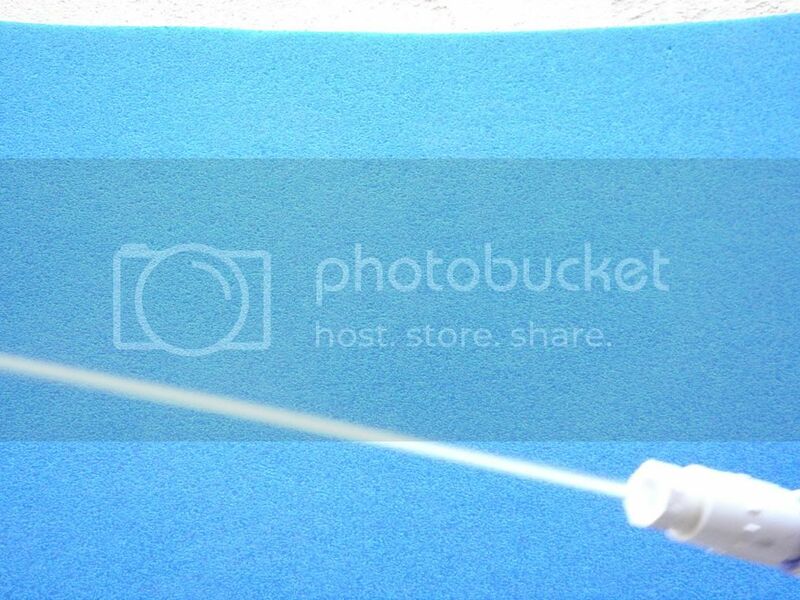 Would you mind if we used some of your pictures (with credit)? Thanks in advance. Well, until I get that thing in a backpack, where I wouldn't have to hold the tanks with the same hand I use to hold the gun, then all I can give are some pretty flat shot ranges. It can shoot across a street (mine is ~32') when the tanks are on the ground and I just hold the gun. These were all based off of the shooting I did for the pictures above, so you can check for yourselves. EDIT: And as for the pictures, I wouldn't mind. If you want more, I gladly take some more. Since those shots were relatively flats, the ranges are impressive. Nevermind. That said, I'm interested in the technique you used to taper the aperture of the nozzle. Generally, tapering (especially right at the end, after which the flow can't be "corrected") results in a very turbulent stream, as the flow bottlenecks. Things get especially messy since, unlike air, water barely compresses and will run into itself in the taper. But there definitely is a lot of potential, and I can't claim to be able to predict the performance of the stream. Thanks to friction, eddies, the velocity and pressure correlation (thanks to Bernoulli's principle), and the velocity gradient (which says the velocity is zero right at the surface but it increases as you reach the center), many weird things could happen. Or maybe you just ended up with a cleaner hole in the end. Either way, 1/8" sounds like a reasonable size for the best range, so I wouldn't dispute those figures! I now have parts to make a pump! I'm excited! Anyways, I guess this'll be some kind of backpack APH like I said it would, so I hope it works. EDIT: Okay, after thinking about it, my design doesn't seem like it would work. Can anyone provide a design for 1/2" homemade check valves (besides the already-made guide, I saw it already) that uses rubber stoppers? I want to use those because I can get them at home depot easily. Last edited by aEx155 on Sun May 11, 2008 4:23 pm, edited 1 time in total. The guide on the website is okay, but Waterzooka's homemade check valve uses more conventional components. You could probably use rubber stoppers instead, as long as the measurements are right. McMaster-Carr has dimensions for many different fittings and O-rings. 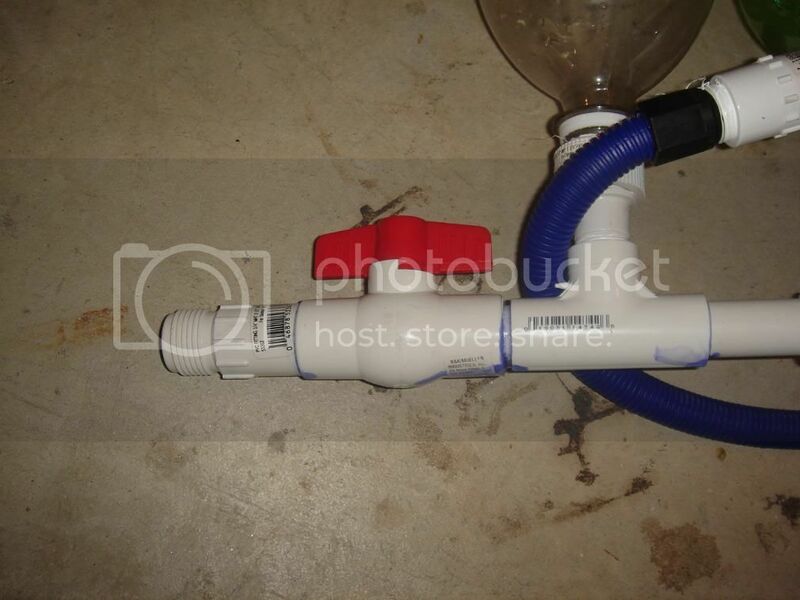 When I did the Vaporizer conversion modification I made a homemade check valve. When I get around to updating that article I'll include something about my check valves. 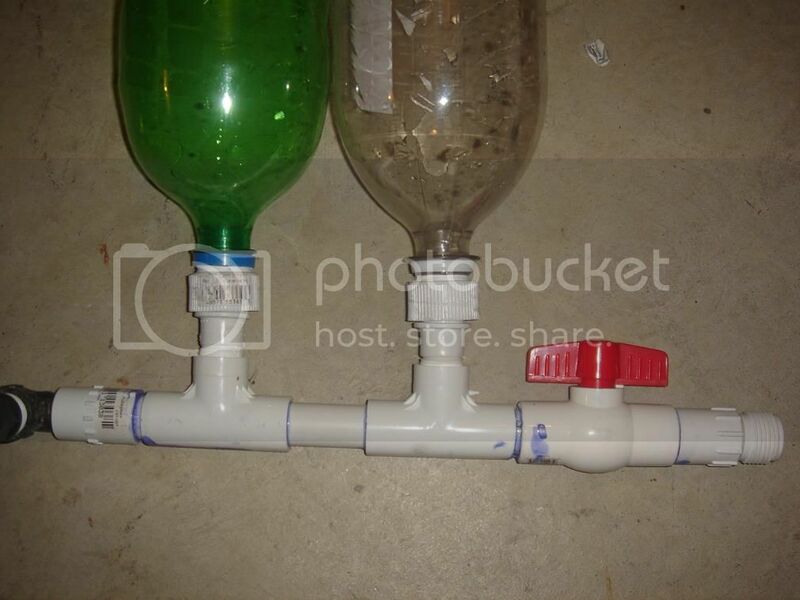 There's another homemade check valve guide on NerfHaven. All spring check valves are basically the same thing. You should be able to modify any of these designs to use a different sealing face rather easily. Making your own design won't be hard either if you understand how a check valve works. Good NerfHaven link - the diagrams make the concept pretty clear. I think I've seen that thread before. I agree the specifics don't matter much. Just measure, get the dimensions and seals right, and the valve should come together properly. In the end, availability of materials probably matters more than anything else. I have a basic idea on what I'm going to do, but the thing I really need are the springs. All of those links are good, but they don't provide where to get the springs (other than McMaster-Carr) Does anyone know where I can get them? Cause' if they do, then I can finish my plans. McMaster-Carr would be the best place because they have a great selection. Home improvement stores typically have a small selection in their hardware section, but they might not have anything suitable for a check valve. If I remember correctly, one spring they have commonly fits in 3/4 inch pipe, so that should work. Still, I would suggest ordering either from a catalog or from the internet because there is a significantly better selection of springs. The spring I used I think I took from a toy, but I'm not sure. They could sell an identical spring at home improvement stores. You might also want to check a run-of-the-mill hardware store as well. I bought the springs for my Nerf homemade at a local one, and their selection was spectacular! Though I guess this will change from place to place. It's worth a try. The Drenchenator, also known as Lt. Col. Drench.